Warning: The Information Contained On My Hidden Webpage May Save You Hundreds or Even Thousands of $$ of Equipment Costs and Needless Service Calls! You need this book if you own a pool already or if you are planning to build one. It's an ebook stored on a hidden webpage to allow for easier access for you and no downloading hassles! 11. What type of pump lid will make pump priming the easiest? and it would take me a lot more than 1 hour to go over all of these points. With this hidden webpage you will have a load of useful information to help you be a well informed pool equipment buyer for only $9.95 which is just a fraction of the price of a service call by Metro Pool Service! If you find only one tip somewhere in this ebook that will save you just one service call or from buying just one piece of equipment you don't need (and you will most likely find much more than that) it will have paid for itself many times over! Buy access to my hidden webpage today! Think of it as an ebook stored on a webpage for easy access. After payment is successfully completed on Paypal, click the link that says Return to Metro Pool from the Paypal payment completed page and you will immediately be on my hidden webpage. It's that simple. Nothing to download! Once you are on my hidden webpage, bookmark the page on your browser so you will be able to come back anytime. If the claims I have made above are only 1/2 true, this is still a great deal for you, but it's all true. 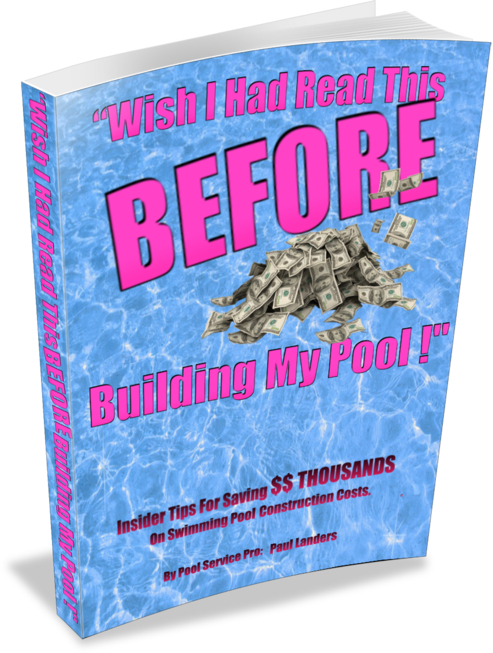 You can't afford to miss out on this hidden webpage packed with $$$$ money saving ideas for your pool. You can see for yourself TODAY! Isn't it worth $9.95 to find out what I know about saving you some hard earned cash?